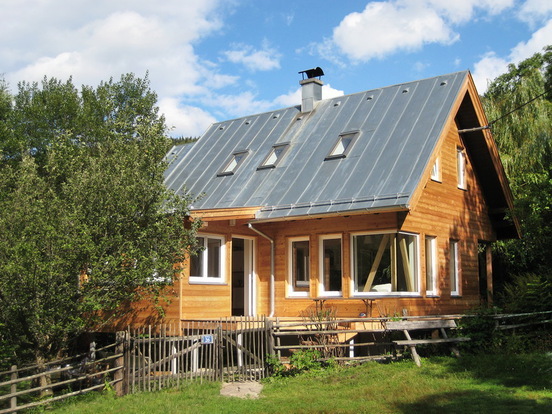 R etaining the main structure, we remodeled this 1930's cabin in the Alps, making full use of the timber framework. Numerous incisions into the building's skin now afford spectacular views of the surrounding mountains. By removing most walls, the interior was converted into a fine-tuned open loft. The addition of a deck running all around more than doubled the usable area on warm days. The attic was turned into two cosy bedrooms. Larch is the material of all external surfaces as it will weather gracefully, slowly fading to grey.